We have teams based in London, Manchester and Liverpool and upon request we can even cover nearby areas. Tish was a true professional. He did wonders cleaning the old oven and my wife really liked the surprise. Great lads and a great service. Great cleaners! I recommend them highly. My property had been left in a very bad state by tenants and they performed miracles, even managed to remove some old stains from the sofa. They do end of tenancy cleaning and carpet cleaning in all of the properties that I let. Correct and punctual every time! Need to put your property back on the market? Looking for the lowest affordable prices with a well-done service? Don’t have the time or energy to deal with the hassle? 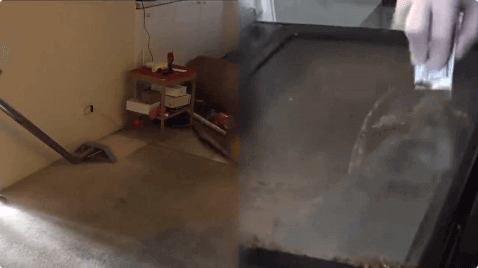 Want a dust, bacteria, dirt and stain-free carpet? Want a clean fresh environment for your kids? Looking for a thoughtful gift for someone? 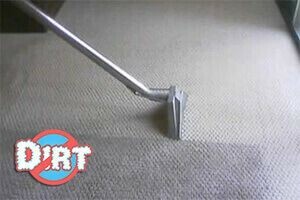 With our high-grade steam cleaning machines and hot water extraction your carpet will be spotless. Is your oven ready for the holiday season cooking? Higher bills? Dirty ovens use more power to heat up and maintain temperature. Weird smell or taste in your food? These problems go away with a sanitized oven. By disassembling and soaking all removable parts we will make your oven feel brand new. Neverdirt is providing some of the best professional cleaning services and experienced cleaners London has. If you are tired of all of the house chores or have little to no time for them, you can help yourself by using our services. Our company operates in all areas of Greater London. Prices below are valid for bookings over the phone only and are limited offers. Nowadays, we have more than enough tasks to deal with in our everyday life. Probably the toughest one is to keep our house clean. It can become even harder if we have a time-consuming job. Add some chores to the mix and the next thing we know we have completely stopped taking care of our homes. We are well aware of this. That’s why we are here to help you. We can help you save energy and most importantly time. We provide both regular-basis and one-off cleaning services. Each of our professionals at ‘’Neverdirt’’ is trained and has been fully certified. Our technicians are equipped with top-notch machines and detergents to provide services of highest quality. Enjoy spending time in your refreshed house without experiencing the cleaning process. Our experts can make your home look perfect and as good as new again. That way you are free to enjoy spending time in your refreshed house, without experiencing the unnecessary hassle. If you live or have business in London, do not hesitate to seek our help, we use high-quality machines that leave no dirt behind. You can rely on us to do everything in our power to remove the food, drink and other stains off your carpets and rugs, along with dust and invisible bacteria. Thanks to our professional steam cleaning equipment, our technicians will rinse your carpets in depth and achieve awesome results. For your comfort, we are there for you 7 days a week. Call 020 8077 5757, you can get in touch with our co-workers who will politely answer your questions regarding the services provided, the pricing and the schedule. You will be able to make a booking for whatever service you need for your home or office in your area.